Guangzhou Train Station guide on its location, timetable, ticket offices, and how to get there by bus, subway, shuttle bus to Baiyun airport, etc. Guangzhou Train Station is one of the biggest stations in China and useful for metro travel, long distance slow travel, and going quickly to Hong Kong/Shenzhen. It is a big old station in the west central city area. Usefulness: The dozens of slow regular trains allow you to go to places not serviced by bullet trains (most of the country still) and travel economically and see the country. Two useful high speed lines go to the Hong Kong border in Shenzhen, and to Zhaoqing. It has a metro interchange for lines 2 and 5 as well. Location: 30 kilometers (19 miles) from Baiyun International Airport. Metro: Take the metro Line 2 or Line 5 to Guangzhou Metro Station (广州站地铁站). Guangzhou South Station street map Street map of Guangzhou Station's location in west central Guangzhou (Yuexiu District)... See our expandable Guangzhou Railway and Train Station City Map for a bigger responsive station map. A massive and less convenient station: This old station has a large front plaza and an overall area of 377,600 square meters (4,000,000 square feet) with not enough convenient exits. The transportation facilities to the area including the metro station exits are not as quick and easy to access as Guangzhou South and Guangzhou East. Also the place is so big that getting around it takes longer and is tiring. It is disorientating for first-timers, especially if you don't speak Chinese and read Chinese signs. It isn't really set up to handle foreign travelers as well as the other two that are more modern. Crime is also more of a problem. The station sprawls and is huge, but if you have questions, go to one of the counters or ask the staff. Bullet train ticket counters are on the left side of the central doors as you walk off the front plaza, and the regular train counters are on the far right side of the building facing the plaza. If you are new to the station, allow about 30 extra minutes for orientation. Big clock: A big clock in front identifies the building. Lead time: It is recommended that you arrive at the station 2 hours before departure time if you already have regular train tickets and an hour before if you have bullet train tickets. Add an extra half hour for the bullet train and an extra 45 minutes for the regular train if you want to buy tickets at the station counters. 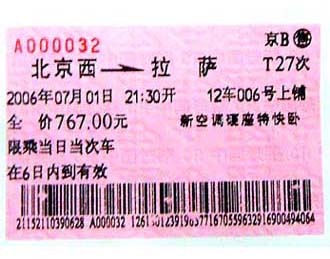 Lines for conventional train tickets may be quite long especially before and during holidays, and the wait might be an hour. Delivery: Outside the station building at the east corner, you will find a China Railway Express office (中铁快运) where you can have your large luggage delivered to destinations at a reasonable price. Storage: By the side of the ticketing counters, they have a temporary luggage deposit desk. The price starts at 5 RMB/piece for a day. Overnight costs extra. Portage: Staffers in red caps will help you carry large luggage onto the train, 10 RMB/piece. 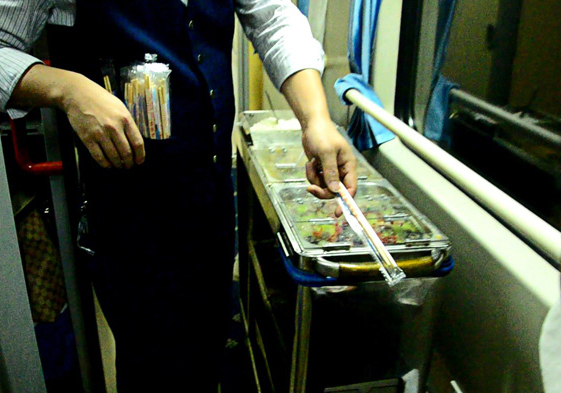 How to travel from Guangzhou Airport to Railway Station? By using the airport express way, it normally takes around 42 min to travel from Guangzhou Baiyun International Airport to Guangzhou Railway Station by taxi. While the subyway takes longer time since each subway comes every 7 min. 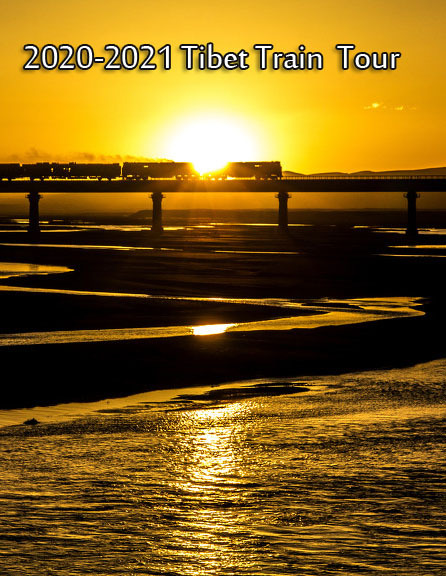 If you are planning your trip to Lhasa from Guangzhou by train or have any questions about the travelling to Tibet by train, please feel free to contact us for consultation. We are ready to help you out.